You are here: Home / Healthy Eating / Got Allergies? Try these foods! If you’ve got allergies, Spring and late Summer are really annoying times of year. (If you’ve started your daily nose spray regimen or are getting an itchy throat and ears like I am, you know what I’m talking about!) 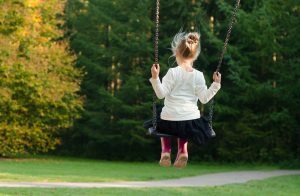 But for kids, it can be even worse since allergies often lead to painful ear infections. And, many doctors don’t want to prescribe allergy medicines for young children. So what’s a parent to do? Feed your child allergy-friendly foods of course! 1. Eat foods rich in folate. Researchers at Johns Hopkins University have found that people with the highest blood levels of folate have a 40% less chance to have antibodies to allergens in the bloodstream or to suffer from allergic skin rashes. 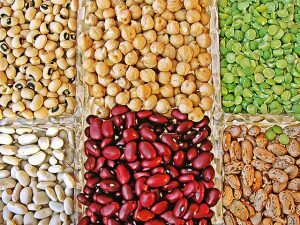 Kidney beans and other pulses are rich in folic acid, which could help with allergies. 2. Eat yogurt. Researchers at UC Davis found that people who ate just 6 oz of yogurt a day had fewer days with hay fever attacks–especially from grass pollens, and they also had fewer symptoms. Why? Because keeping gut flora healthy is important for maintaining the immune system. (Antibiotic therapy throws this balance of “good” bacteria” way off.) Yogurt smoothies anyone? Finally, yogurt makes a great dip for toddlers to help them eat more fruit. 3. Eat coldwater fish like salmon. The omega-3 fatty acids in fish have anti-inflammatory properties which protect against the overproduction of some antibodies that can trigger allergies. They may also reduce the severity of allergies. The American Academy of Pediatric’s view on introducing fish to babies has changed; unless you have allergies in your family, their policy says you can introduce any food after 4-6 months of age. (However, if you do have severe allergies in your family, check with your child’s doctor, just to make sure.) If you do serve fish to your baby, make sure that it is the proper texture for her developmental stage. And make sure there are no bones. Some kid-friendly foods are also fortified with omega-3’s–such as milk, yogurt and some infant cereals and baby foods. 4. 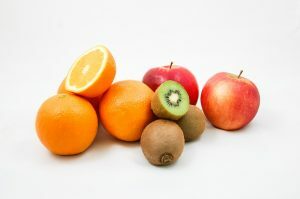 Eat Fruits and Vegetables: Especially those rich in Vitamin C and beta-carotene. These antioxidants are said to reduce inflammation in the lungs, which can contribute to asthma attacks. Think of these: citrus fruit, and dark orange fruits and vegetables: mango, peach, apricot, sweet potato, carrots, red peppers, tomatoes and tomato sauce. Plus, apples have been shown to decrease asthma symptoms and when eaten regularly during pregnancy, may decrease the risk of asthma in children. Flavonoids in apples are thought to be responsible. (Consider buying organic, as apples are in the top five on the list of fruits and veggies with the most pesticides!) For adults, red wine has similar flavonoids. 5. Have a healthy lifestyle. While eating a healthy diet is important, overall good habits are too. For example, getting enough sleep, drinking plenty of fluids, staying active daily and keeping stress to a minimum.